Every four or five weeks I visit my dear friend Rosie to chat, sit and and stitch. We arrange a time for my arrival and she will be there waiting with the gates wide open for me to drive up between the tall trees and lush greenery and park in her yard, right near the fish pond and her colourful array of various succulents and more lovely trees. We hug and head inside, our chatter already begun, and Rosie brews fresh coffee while I settle at the table. It's already set with a pretty vintage cloth, china plates, sugar bowl and something wonderfully sweet. The atmosphere of 'welcome' is tangible, lifting my spirit instantly, regardless of the concerns I may have walked in with. Rosie's art for hospitality is one my Nana found to be quite natural, and as a young mother with many children I too found it easy and enjoyable to open my home for other mums to come visit. Baking has always been a joy and sharing treats with my friends, especially those who were not keen cooks, put a smile on every face. 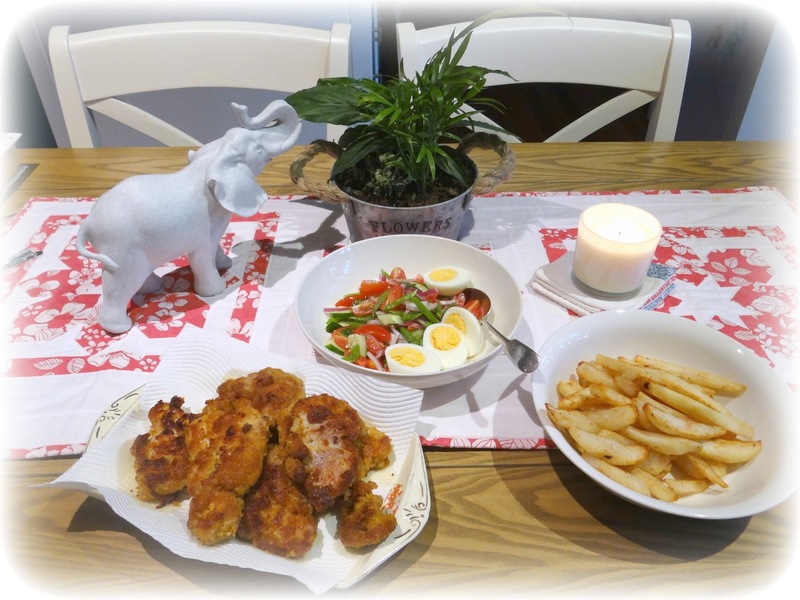 In our homeschooling years, even with teenagers, hospitality was again very easy as we had a network of other homeschool families who took turns hosting morning teas or a weekend BBQ and at every home a sense of welcome and hospitality filled the air. In 2009 with our youngest children now mid to late teens we moved to the other other side of the country and no longer had people to visit or friends to invite over. My husband was teaching at a remote boarding school and I took a part-time position as teachers aide in the home economics department. We lived in a small house on the school grounds and I very quickly discovered a number of the students knocking on my sewing room door each weekend asking, "Miss, can you help me put this together?" or "Miss, I can't do this stitch. Will you show me how?" Being a small boarding school and us living on campus I built a kind of 'auntie' relationship rather quickly with a few of the female students and enjoyed the extra hours helping them hone various sewing skills. In fact, I had to learn a few things myself just hours before instructing the girls - like inserting zippers, a ladder stitch closure for stuffed bear limbs, and using an Overlocker. Over time a few would stay for afternoon tea or even lunch and I realised this was a new form of hospitality I was experiencing. We'd often rummage through my craft or fabric scraps and I'd send them back to the dorm with bits and pieces to practice on or add to a term project. The nicest thing though, was seeing the joy and relaxation they felt in our home, and the laughter we shared over biscuits, fabric, ginger beer and threads. A year later we moved off campus and into what I will always consider the 'house of my dreams', though we only lived there for 18 months. The students could no longer visit but I did see them in class for the next year or so as I continued my teacher's aide duties and it was always a wonderful time spent in their company and encouraging them to create. At the end of 2011, with just one child left at home who was in need of employment, hubby moved the three of us to a larger town and we left the school. Soon I had a small stitching group regularly meeting at home and about a year or so after that we began taking turns to host the fortnightly gatherings. How lovely it was to be welcomed into each nest! Spending time with friends, having them open their home and make you a cup of tea, serve you a delicious lunch and put you at ease. There was much chatter and laughter, everyone showing what they were making and ideas bantering back and forth. When it came time to leave there was joy to spare in every smile as we planned the next get together before climbing into our cars and driving off in all directions. Over time for one reason or another our group drifted away and it became just Rosie and I, which is where we're at today. But that's the cycle of life, isn't it. Can you see the flow of seasons in my life? As we age, move to a new town, take on new interests or occupations, no longer have children to care for, adjust to health restrictions or different housing, the opportunities to show hospitality may also change. In fact there might be seasons when you're unable to open your home and may well find this to be a God given season of rest from serving others. Many of us can wear ourselves out from doing more than we should, and if you are recovering from an illness this is indeed a time to step back and give your health the time it needs for restoration. It's important in a quiet season to show grace to yourself and let that rest time run it's course for you will be better able to resume a life of hospitality later on. Over the past year or two I have had less time than ever to extend the hand of friendship within my home, and it bothered me, a lot, but it was through this season the Lord taught me that life is a series of ebbing and flowing, like a tide coming in and then receding until the next cycle. Things do not stay the same, and friends often come and go. The important thing is to keep a hospitable heart for when it's needed again. So I stopped feeling bad about the lack of faces within my home and instead chose to give myself more fully to sharing through my blog the joys of living this gentle domestic life, and to reach out into the Gentle Domesticity group I'd started the year before as an online sewing group to see if there were any members who wanted to more fully participate in the discussion and sharing of homemaker ideals and everything that entails. The response was overwhelming and today the gentle ladies in our group have become very dear to me as I grow to know them and their lives more and more. These women 'invite' each member to share a glimpse of their day to day lives with all it's triumphs, trials, laughter and tears. Through the reality of living where they are, in the circumstances they find themselves in, with abundance or lack or somewhere in between, each of us is growing into a better version of ourselves. Hospitality is evident in that group every morning when I open my web browser to meet them across our virtual kitchen table. It overflows with encouragement, compassion, kindness and fun - exactly what we all hope for in face to face friendships, but not so easy to find with people you've never met and most likely never will. Yet, it has happened and some members have spoken out about the unusually hospitable and respectful attitude flowing through every person and post. But let us not forget hospitality towards those who dwell under our roof, too, for they are most important of all. I have been in homes where a wife can make her husband feel most unwelcome, as though he is in her way...and yet she will heap care and concern upon her guests, running here and there to fill their tea cup or offer more cake. This always makes me cringe and wishing I could leave immediately, so I try to speak kindly to the husband and ask questions about his work or hobbies as it is his home as well that I am visiting and I do appreciate the hospitality of being invited there. 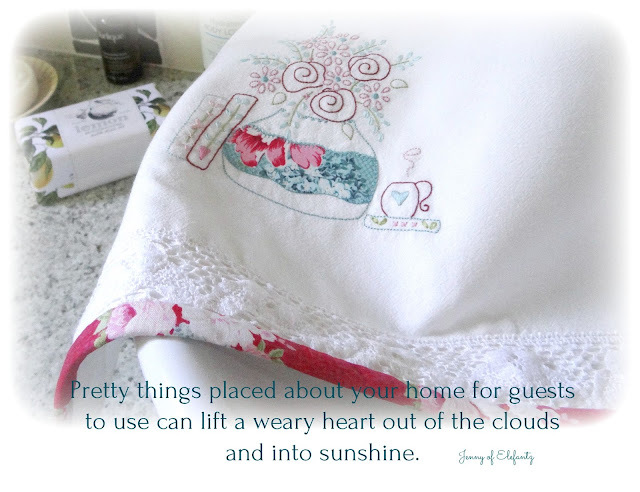 Hospitality, it seems, can be shown in many ways and I'm eager to see what else the Lord would teach me about it this year - whether that be having new friends come for a visit, starting a stitching group or Bible study at home, teaching young ones new skills, contributing more to the online gentle domesticity group, preparing a welcoming and comfortable room for overnight guests or family, sharing coffee with a neighbour or welcoming my husband home after a long day at work with a hearty meal, an ear to listen and a loving smile. Hospitality is an art form, a gentle and warm expression of care for the comfort of an other within the boundaries of your life, wherever that may be. I shall work through each idea as I am able and be joyful in doing so, all the while keeping my heart open to God's prompts for other ways of being hospitable that I've not thought of yet. It seems hospitality was much more than I ever imagined. How do you show hospitality? This post was so beautiful and ever so encouraging, Jenny! Hospitality is among my most favorite things, and I love learning about new ways to extend it. I love that you included showing hospitality to those inside our homes as well, as they are indeed the most important. Thank you for this lovely post...wishing you a blessed week! As usual this was a wonderful, meaningful post. This past year I have been learning to deal with an illness that can’t be cured and just last week learning that my dear husband has bladder cancer. Inviting people to our home has been difficult as I’ve often felt so ill I’ve barely been able to put together a meal and the diet restrictions my illness places on me tend to make others uncomfortable. But, I’m gradually learning to have more control, with the Lord’s help, I’m starting to want to invite others over agin. So I freeze half of the muffins, cookies and tea breads I make, I put lovely hand embroidered pillow cases on the guest room bed and always fold a pretty quilt across the foot. I’ve made some bright, cheerful table cloths, runners and toppers and I think they add a bit of welcome to my home. How true! Yes, we all go through different phases in life. We lose people along the way and meet new people as we continue life's journey. Unfortunately, as a couple we seldom go to anyone's home due to accessibility problems with a wheelchair. There was a time I got so tired of always being the hostess and never the guest. Then I found patchwork groups where I could meet new people who had the same interest as myself. It wasn't at their homes but that wasn't the point. I just felt that I needed to socialise more. We were always involved on committees etc with the disability sector but that was work ,not play. Now we have a little sewing group and we meet in each other's homes. No fuss, we take our own lunch and the hostess just provides one thing to have with coffee and tea,sweet or savoury. It must be an absolute delight when you and Rosie meet up. Nothing better than sewing with a cuppa and a chat. Once again I find your blog the place to be at the end of my day. Your words speak volumes. Thank you for being here. What a nice encouragement. I am in a stage of life with young children at home that I have plenty of opportunities for hospitality, as friends drop by for play dates quite often. But I worry that once they are all off to school during the day, I will revert to my tendencies to spend my time alone (which sounds lovely, to be honest!). But I love your idea to host an occasional stitching club or something like that during the day. Thank you! beautiful thoughts and words. How true, there seasons for so many things in our life, friendships to come and go for many different reasons, we adjust and do our best. There is nothing nicer and more welcoming than to be made to feel welcome when we visit friends or family. being listened to is a fabulous start. best wishes with your list. Jenny, I loved reading this post. I reflected on the difference when my friends come over on Thursdays and friends come to your house. I share my fabrics, my sewing machines, my space, threads and beads and buttons, but there are no pretty table cloths, no lovely scones or juice. Water is plentiful if one wants it, of course. Otherwise, my house has too much clutter, which really isn't me, but I've had no place to put things, and things kept coming through my door! Your words are beautiful and make me reflect. Have I ever thought about hospitality? I think never. I have provided hospitality and the others have provided it to me. But I had never stopped to reflect that it can be such a beautiful and important gesture in life. Thanks for so much good that you share. Hugs. I feel very fortunate to have experienced your hospitality. You certainly made us both feel very welcome and at ease. Hospitality is at its best when it is relaxed and not contrived. Hopefully one day we can return the pleasure. I loved to read your post tonight, Jenny. What a wonderful experience as a teacher's aide ... those children will definitely remember your hospitality as they grow and have skills to someday teach their own or other's children. You have shared your hospitality through the GD group and it is lovely to "get to know" a little of how each of us goes about our daily lives. You can sometimes just "hear" the gush of good wishes and congratulations on a job well done, the laughter of shared funny moments, hushed voices when a heartache is revealed or the quiet pauses when we gather our thoughts; you can almost feel those gentle hugs of united support for friends far and wide. The ebb and flow of our lives and friendships is just that ... ebb and flow. I did have a lovely spare room for guests ... bought the lovely bed and dressed it, put my father's old chest of drawers in pride of place .... basically made it comfortable for guests. Now ... my daughter and grandchildren are living back here; the two little ones share the room ... things shoved under the bed, toys and books everywhere .... did I mention clothes? And the toy mask placed over my beautiful bedside lamp? I have been feeling frustrated at this situation as I so wanted to have a room for guests. I kept telling myself that this is only a "season" and reading your blog today reaffirms the notion that we have to offer hospitality to those who live within our homes. My "servant heart" has not been so servant lately so this is a timely reminder to me. My hospitality must start with family at home first. Thank you for your honest posts. They come to me at a time most needed. My heart has been broken by the loss of my son and I need guidance to seek comfort and take care of myself and my loved ones.i still work and your post help me see the need to enjoy home. Jenny, I was looking through some old photos the other day of when the children were growing up and we had lots of their friends and parents coming and going but now we are in another season of life and those days are over. Unfortunately I don't feel able to invite people around for various reasons but still have happy memories of shared cuppas and meals around the table. I still meet up with my friends and enjoy their company elsewhere. When I was growing up visitors would be welcomed around the kitchen table with a cup of tea and freshly made biscuits. Such sweet memories of your past. I'm sure those students still remember you and your generosity after all this time. I have fond memories of a jr high school teacher who taught me to make yo yo's. I still think of her when I stitch them up. I am sitting here trying to think of something to do for our next door neighbor, whose mother passed away Friday night. I think we are going to purchase a banana pudding from a local restaurant, which everyone loves. But I would like to come up with ideas that are easy and something I can do myself. I was thinking of a fruit tray, but wanted to be able to leave the tray with the family so there would be no need for them to return the dish. I think I need to start looking for such trays in my thrift shopping, which would make a nice gift to be able to leave permanently with the family. I would be curious to know what others share during times like these. Thanks Jenny! The gift of hospitality truly is given by God. You obviously have that gift of being able to make all folks feel welcome and comfortable in your home! It is not my gift, even though I try...kinda LOL. It appears to be effortless on your part, even though I know all the baking, cleaning and other prep definitely isn't effortless! I have been having more social type events the past couple years. It is doing me good. To establish more relationships with people my age. Now to make my home more hospitable. And welcoming. I have begun to enjoy to decorate with the seasons. My daughter says it looks and feels more homey. So for her and others I need to get busy making this house a home. So that I am happy looking at personalized things I choose for this home. Its just been a house since we moved here. But it is becoming our home and I need to make it a reflection of ourselves. Thank you Jenny for your encouragement today, I love reading this post. I have visitors drop in all the time and I am sure they come around mostly for the homemade goodies I offer with a nice cup of tea (in a pot) or coffee ~smiles. It would be so nice to live near you and be your friend. You are the most hospitable person I've ever known. Hospitality is not great in the US these days. Too many women have to work and barely have time for their families let alone friends. It is so sad that the world has come to this. I do try to be hospitable by inviting my husband's sisters, brother and their families to our house about every other month and on major holidays. They wouldn't get together at all if I didn't have them here. Family is so important to me. I don't have family anymore other than some cousins who are not close. My parents and my only sister have passed on. My husband's family is my family, too but it's not the same as your own brother or sister or parents. So I have them all here for dinners. Everyone brings a dish. My husband and I provide the main course. I enjoy making a little something to give the women who come. So far I've made scrubbies (for washing dishes) and mug rugs. I want to come up with something special for them for next time. Thank you Jenny for all you do for us in this group. May God bless you each and everyday. 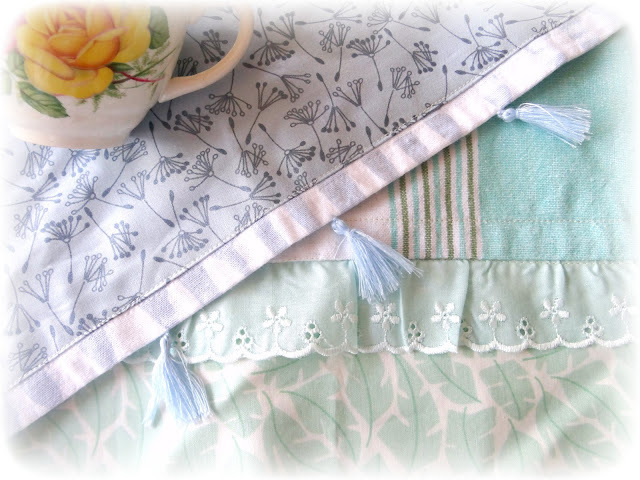 Jenny, what type of fabric do you use for embroidering on tea towels. I have found some of the muslin and/or the actual tea towel has too loose threads to embroider on and yours looks so white and crisp. You are so precious and inspiring to so many, I love the thought you put in to others and life itself. So much of that is gone these days but I still value and want to keep alive those small but big things like the adoration you have for your husband and family, memories, comfort things, just homemaking itself. We as a world, need to go back to that. I always look forward to your posts and your gentleness about life. I too am such a hospitable person, but my children always tell me when they are my house and want to get them a blanket, my daughter says "mom, I can get a blanket if I need one" or if I get them a drink "mom, if I am thirsty, I will get a drink" - - no one values my gifts so I get disappointed, until I read your sweet posts. Thank you for the time you take to write, we are kindred spirits, for sure. I love this post Jenny. It really speaks to my heart. I learned hospitality from my mother... When she sees you, you'd swear there's nobody else in the world she'd rather see. She's like that with everyone. And nothing else can make you feel so welcomed. 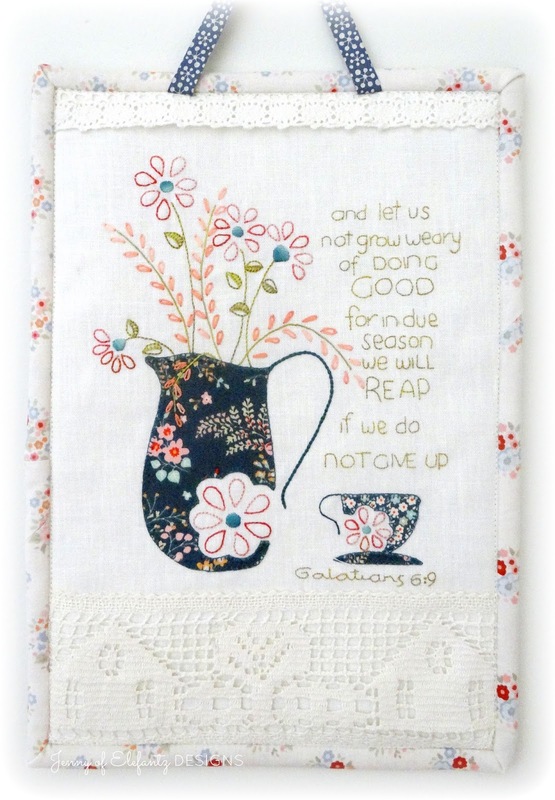 Cindy, I either stitch directly onto a regular cotton or linen tea towel or I use flour sack kitchen towels. I think of Hospitality as a warm hug given with grace and open arms to others. I love to have people come to my home and I am proud to share it with them. I have so much to learn the ways of being hospitable and you Jenny and your Gentle Domesticity are helping me. Thank You very much Sweet Jenny.